Prior to the 19th Century, landscape painting was used as the basis for allegorical and narrative themes. The landscape was idealized. 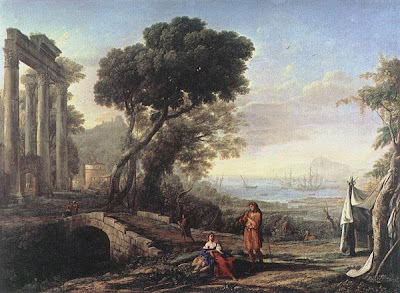 Jacob van Ruysdael and Claude Lorrain captured effects of perspective and atmosphere. However; their paintings were composed much like a set designer would create a backdrop for a theater production. For these artists, outdoor painting was confined to sketches or preliminary studies for reference. Outdoor painting has a relatively short history when measured against the great span of art across the centuries. It was not until the early 1800’s that artists rejected the contrived landscapes of their predecessors and turned to nature for their inspiration. 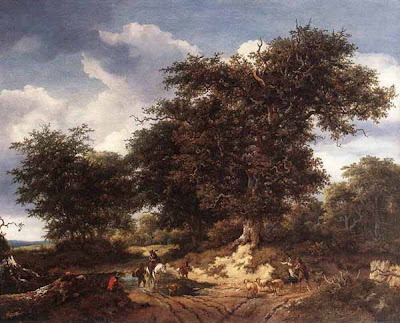 A small group of Englishmen, most notably John Constable and Joseph William Mallord Turner, first produced finished works directly from nature. 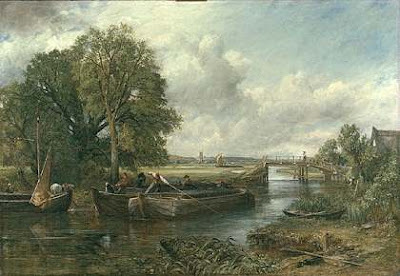 In 1824, John Constable’s paintings, “View on the Stour” (1819) and “The Hay Wain” (1821) were exhibited at the prestigious Paris Salon, winning Gold Medals. These works had a profound influence on the course of landscape painting in the 19th century. In France, Jean Batiste Camille Corot also painted scenes foregoing romanticized views. Originating in France, their members included Theodore Rousseau, Constant Troyon and Claude Daubigny. Their paintings were consdidered crude and unfinshed by the standards of the day. In America, the expansion in the West beckoned artists to paint these new lands. Collectors were eager to see the wilds of America through their paintings. 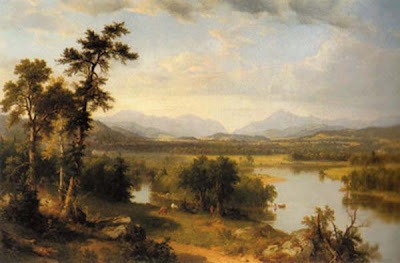 The first and most notable painters in the Hudson River School were Thomas Cole and Asher Brown Durand. Following in their footsteps were Frederick Edwin Church, Thomas Hill, Albert Bierstadt and William Keith. A group of painters in Tuscany. Influenced by the painters in France, they rejected the academic romanticism of the time and turned to modern life for inspiration–again working directly from nature. 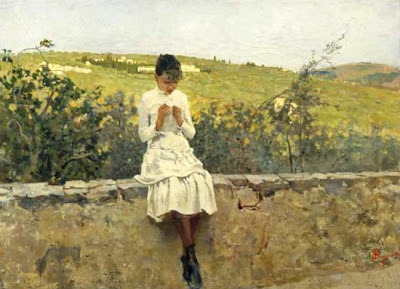 Silvestro Lega, Giovanni Fattori and Vincenzo Cabianca were some of the notables in this group. The Barbizon School and I Macchiaioli helped to form the great movement of the Impressionists. Beginning in France, they held their first show in1874. The Impressionists rejected the closed system of the academies. They embraced modern life as a theme. 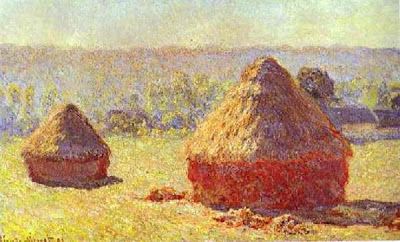 Claude Monet and Camille Pissaro were prominent figures in the group. The Impressionists sought to capture the effects of atmosphere, basing their art on the science of color and light. Most of their work was painted outdoors in a few hours time. For larger works, they would return to the same location, at the same time of day, and complete the painting. The Americas were influenced by Impressionism slowly. The first American artists to embrace this new style were Mary Cassatt, John Joseph Enneking and Childe Hassam. American Impressionism was a blend of academic training and Impressionist thought. This technique was recognized by more spontaneous brushwork and a lighter palette than the Hudson River School’s style. 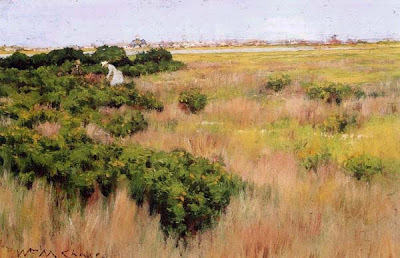 A few of the painters at the turn of the Century defied categorization—John Singer Sargent and William Merritt Chase, to name a few. 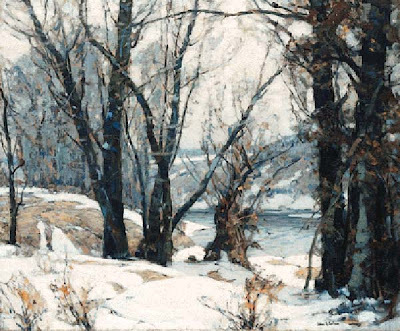 20th Century outdoor painters had a unique opportunity to choose whatever style they felt best reflected their belief about painting. Many fine painters worked through the middle of the century in a Representational/ Impressionist style. 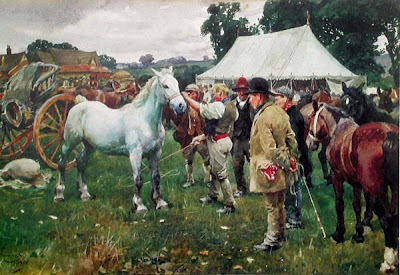 Carl Rungius, Sir Alfred Munnings, Edgar Payne, Frank Benson, Edward Redfield and John Fabian Carlson are noteworthy. Today’s Contemporary painters have discovered outdoor painting again. Building on the past, their commitment to works of quality have created a new Golden Age of painting. Great post Armand. 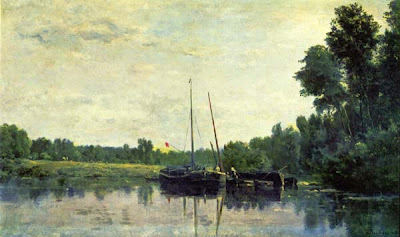 Daubigny is one of my favorites. I find his work to be outstanding even though the bulk of what I have seen is studio work. There are a bunch of Scandinavian painters who need to be honored. Norwegian painter Fritz Thaulow is another that comes to mind. Monsted and Thaulow will both be celebrated here in the coming weeks. Another great landscape painter is the Spanish Emilio Sanchez-Perrier (1855 – 1907) studied at the studios of Auguste Bolard, Leon Gerome and Felix Ziem.